If you like, you can click Command + ‘ to turn on the background grid. 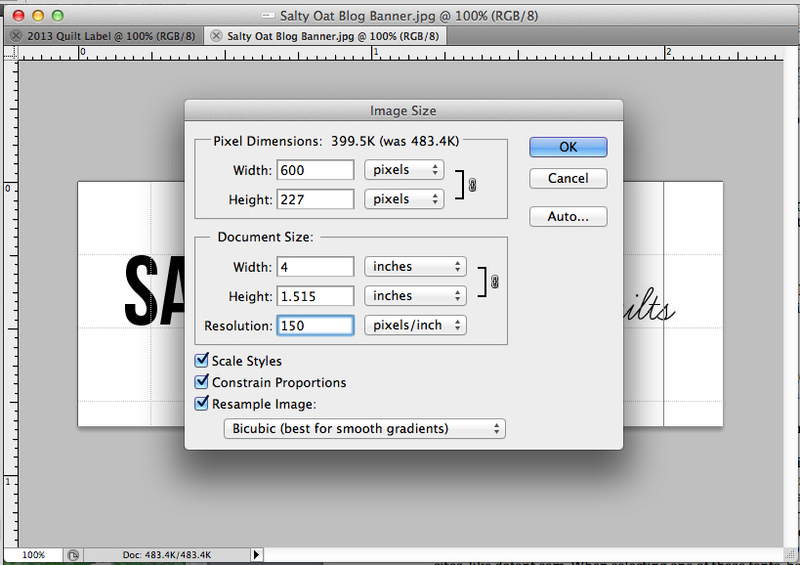 I find this really helpful when I want to align all my design elements. 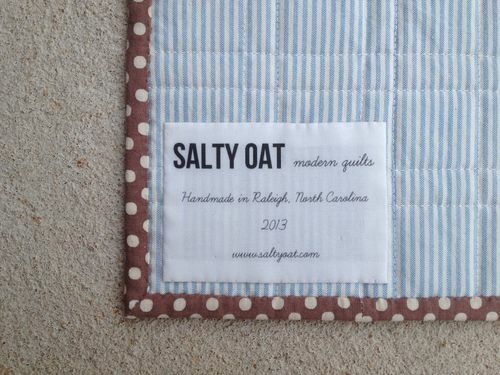 To add your company/blog logo to your quilt label, click File >> Open and open your logo file. It will open in a new window. I resized the logo I use for my blog banner, to fit within the label file. 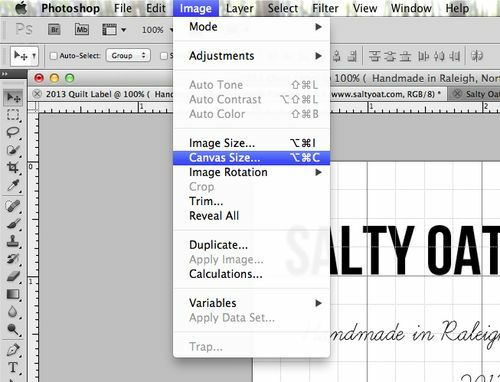 If it’s necessary to resize your logo, click on Image >> Image Size and enter in a width of 4 inches (or whatever width you chose for your label) and make sure your resolution is set to 150 pixels/inch. After clicking OK, select the logo image (Command + A), copy it (Command + C), and paste it (Command +V) into the label window. Move it around until it’s in the spot you want. 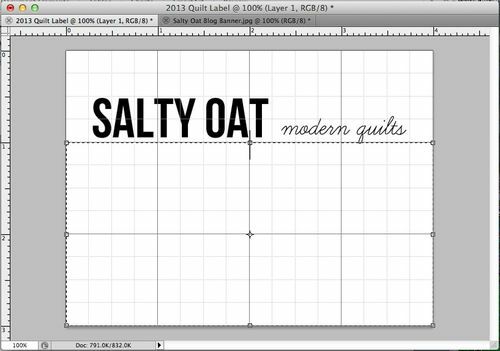 Next, you’ll want to add text to your label. 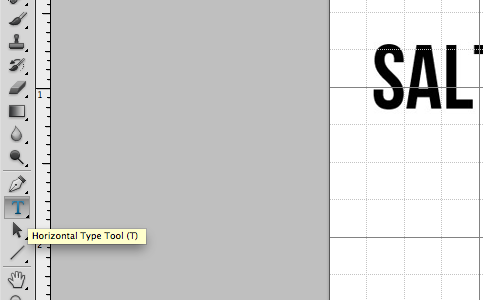 Click on the Horizontal Type Tool to create a text box. This is where you’ll want to add any info relevant to your business. 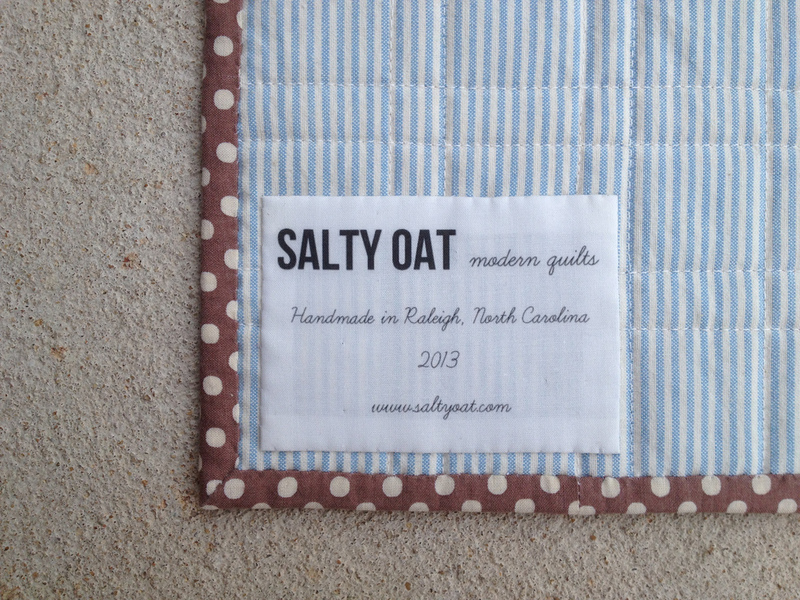 I prefer to stick with my city, the year the quilt was made, and my website. 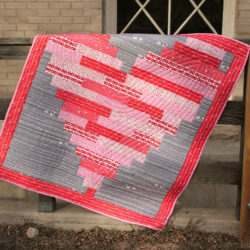 Feel free to add in any other info you think is relevant, like your name, the name of the quilt, or the name of your long-arm quilter. 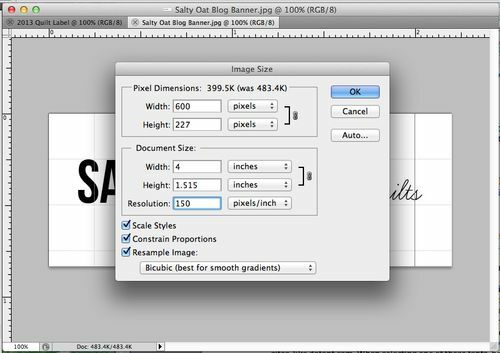 For fonts, you can use any of those already built into Photoshop, or you can find free or inexpensive fonts on numerous web sites, including dafont.com. When selecting one of these fonts, be sure to check and make sure you have the right to use it for your purposes. Most font designers list what you can and cannot use the fonts for on their websites. 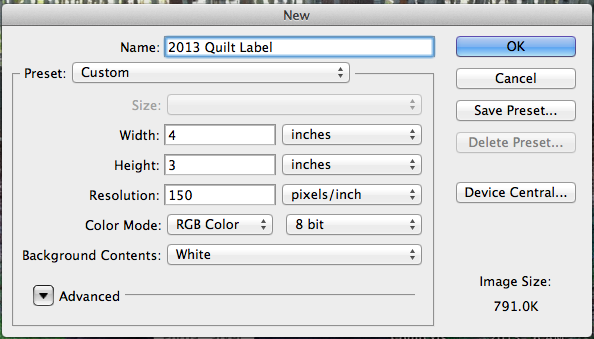 Feel free to change the font color and size, until you end up with something you like. 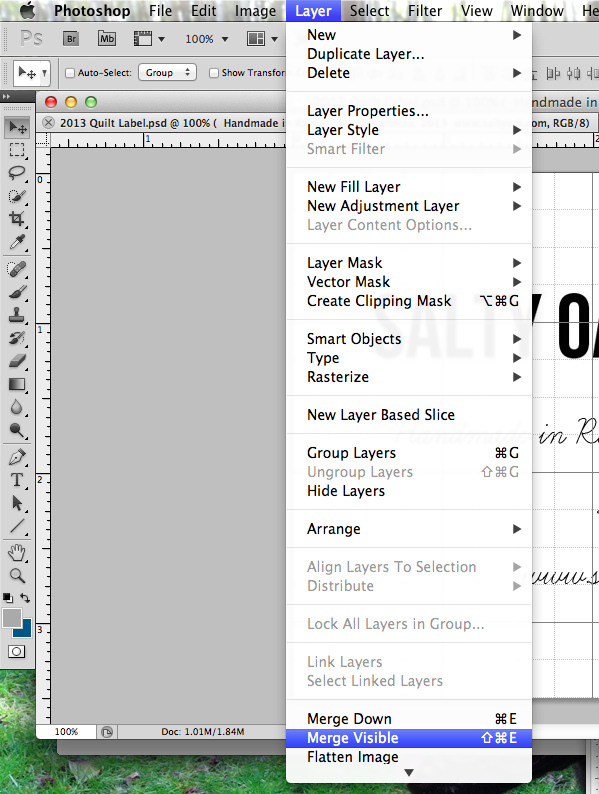 Your logo and text will be different layers, so you can select each one individually to move them around. 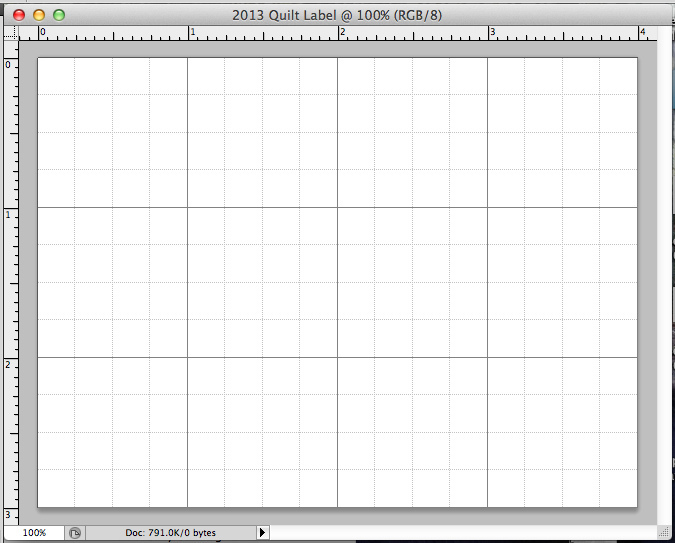 I used the grid as my guide, to line everything up. 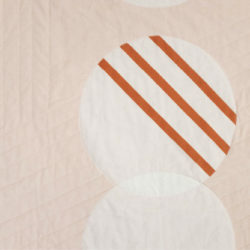 When you’re happy with your layout, you’ll want to add a ¼” seam allowance to your design to give you room to sew it to your quilt. 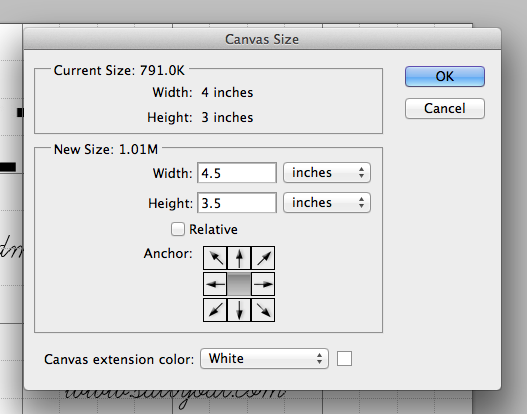 Click on Image >> Canvas Size, and in the New Size fields, add a ½ inch to each dimension (a ¼” for each side). Make sure the Canvas Extension Color matches your current background color. Click OK. When you’re done creating your label and are ready to save it, click Layer >> Merge Visible. 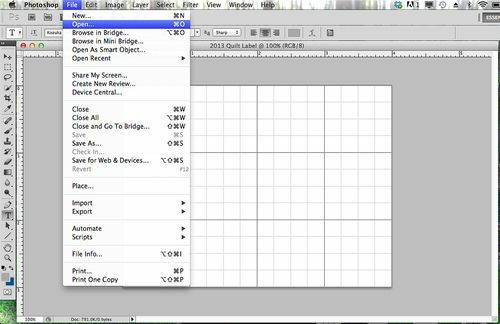 You can turn off the grid by clicking Command + ‘. 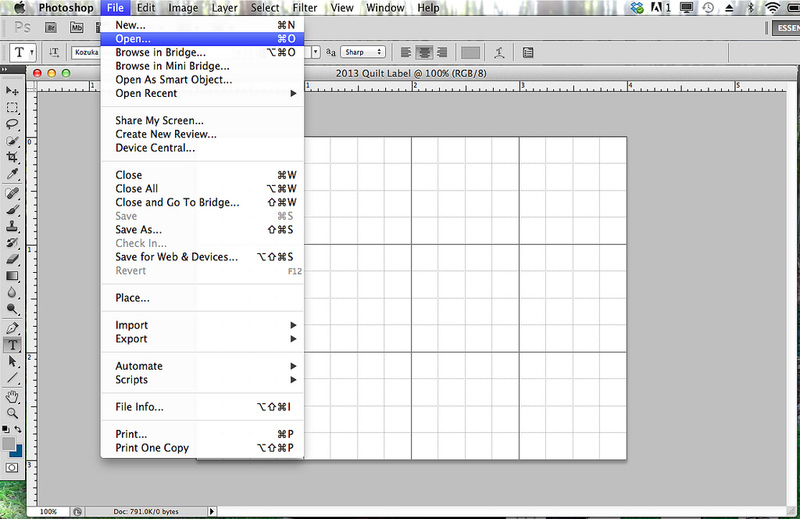 Finally, click File >> Save As and select a folder to save your file in. 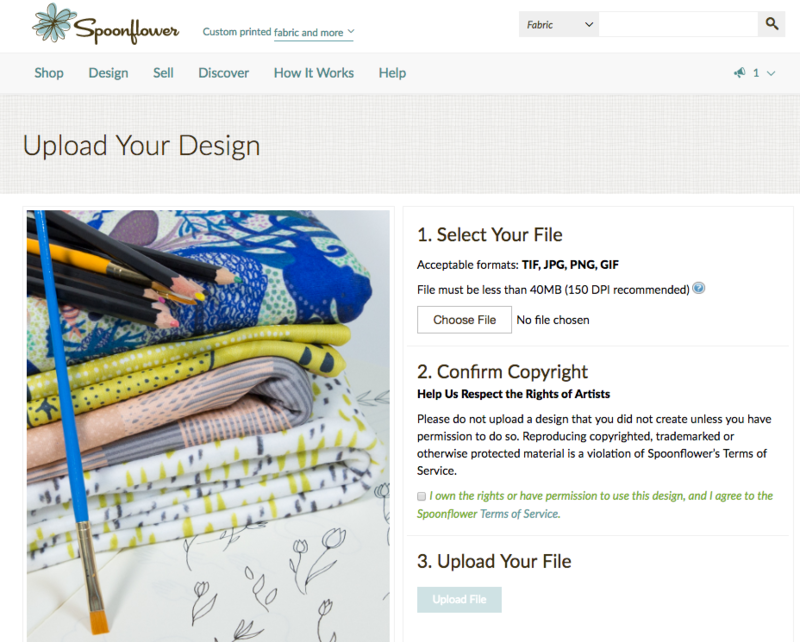 You can upload multiple file formats to Spoonflower, so select what works best for you. 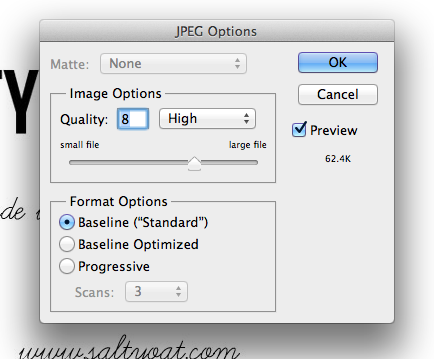 I typically save my files as JPEGs and keep my image quality at 8, though again, feel free to use what works best for you. Your label is ready to upload to Spoonflower! 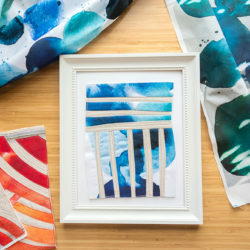 Head over to Spoonflower.com, sign in, and click on Design >> Upload. Click on Choose File and find your label file on your computer. 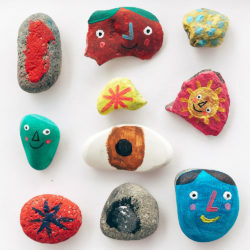 Once selected, confirm the copyright and click Upload File. Select Basic Repeat, to fit as many labels as possible on your fabric, and then print away! 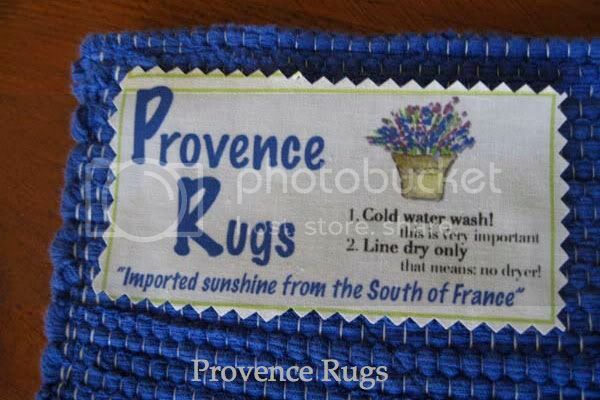 I will often order a swatch first to check and make sure the label prints how I want. Once satisfied, I’ll order a fat quarter of labels and cut them all at once with a rotary cutter, so that they’re ready to be attached to my quilts as soon as the binding is on. Have you made quilt labels through Spoonflower for your blog or business? Please leave a link to them in the comments below—I’d love to see them! Lovely and thank you for takin gus through this process with the labels. Mine are a bit smaller than yours – I get quite a few to a swatch, and I left room to write the year, as I’d never use a whole swatch worth in a year! 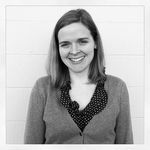 Caitlin: I just saw this post, from the Spoonflower Pinterest board! Thought I would send you the label we had done over a year ago. Time to design a new one now! Thanks for the tutorial…. Caitlyn’s tutorial for making labels is excellent. 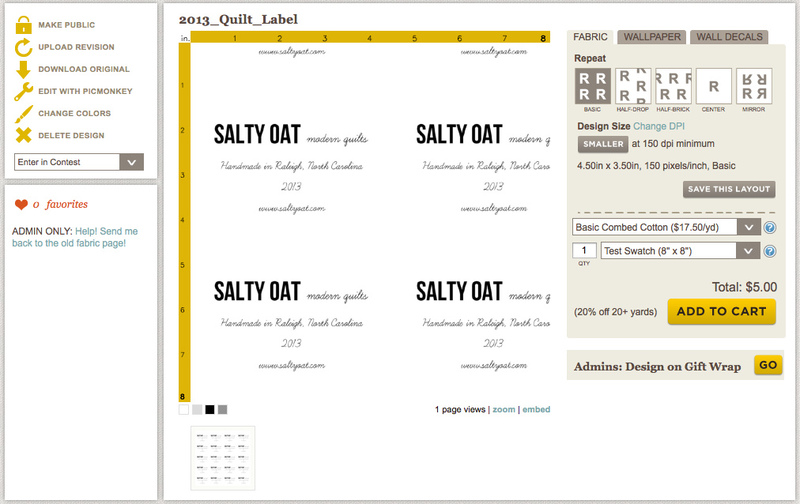 I just created my 1st labels and placed my order with Spoonflower. Thank you so much. 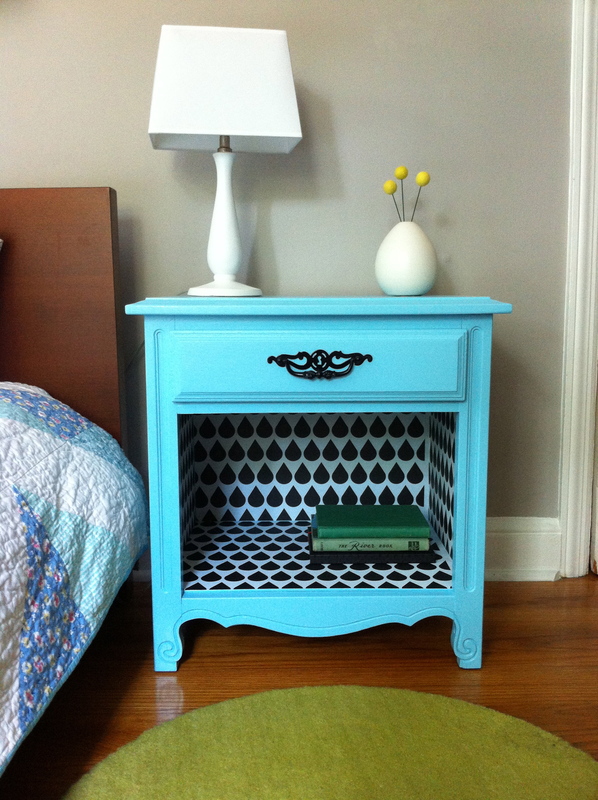 This is very good idea. 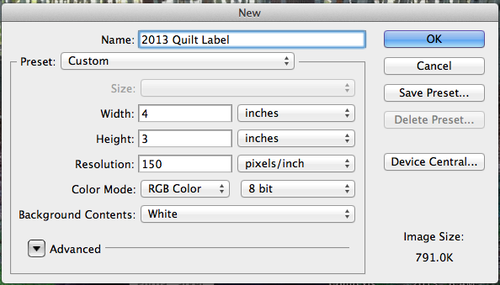 I have read about different way of making labels, but this one is so much easier. Thank you for idea. Could I import my business card image from a photo and use it?